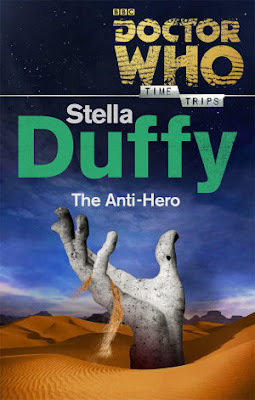 The Anti-Hero, written by author and playwright, Stella Duffy, is a quirky and overall good natured affair though fans of the Second Doctor era should be warned as it plays out more like a William Hartnell adventure than a Troughton one. In fact, the team who featured between 1968-69 are hardly recognizable. The Doctor is occasionally puckish and Zoe occasionally displays some of her scientific acumen but Jamie is one fried Mars-Bar away from being a walking/talking Scottish cliché. What is apparent throughout is that Duffy clearly knows about her Greek Mythology as the depiction of the nine Muses, who are said to be the people who created literature, science and the arts, are robotic creatures, created by the genius Hero who later become save-the-day alien visitors, allow her to steer the Doctor and his companions into the previously unexplored waters of the classical arts. It is a shame then that it isn't a wholly successful combination, as the story is not your typical Doctor Who story but through her expertly handled writing, Duffy does manage to stick the crew in some danger before the baddie, Hero, discovers his mistake without much character development.